My make-up approach is pretty simplistic, at best. For the longest time, I relied on a beauty blender that my mom had gifted to me almost two years ago. It wasn’t until a recent formal event (and lack of budget) that propelled me to do my own make-up on my with a little help-slash-tutorial from the more experienced make-up user amongst us, Janelle. During our make-up run through, it dawned on me how many brushes it took for Janelle to perfect our looks. And in order for me to do the make-up on my own later on, I would have to be just as equipped as her to somehow reach the same level of artistry that she achieved on our faces. Thus, a study of beauty brushes came into light. Luckily, we’ve received some gift items in the recent past that I have not even used up to this day. If it weren’t for this looming event and immediate need to put on my own make-up, I wouldn’t have unearthed these babies. So, are we really getting our money’s worth with these brushes? Here’s my take on it. #11 Pro Smudge, 68 SAR – Applies eyeshadow and helps build effects. #49 Angled Brush, 120 SAR – Used for highlighting or contouring. #16 Pro Domed Crease, 68 SAR – For blending eyeshadow. #77 Contour Blender, 128 SAR – Blends foundation/contour. #47 Foundation Brush, 115 SAR – Used for even application and coverage. 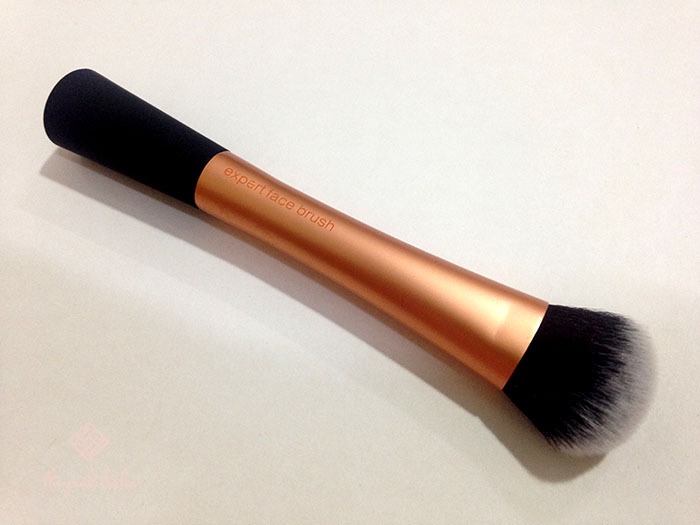 #59 Precision Powder Brush (not pictured), 143 SAR – Precisely applies all types of complexion powders or blush. I don’t really use eyeshadow a lot lately (though I did have a phase in my 20s), so I have not maximized the use of #11 and #16. What is common though in the five brushes pictured is that they are made of synthetic hairs except for #59 which uses goat-hair bristles. Interestingly enough, the most expensive brush of the lot was my least favorite though it is the one that’s supposedly more practical for every day use. The Precision Powder Brush ended up disappointing me because a lot of bristles would fall off on my face after use, as if the brush was shedding. I mean, okay fine it does the application of the powders right, but it leaves off strands of brush hair on my face. As a finishing touch product, this irritates me as I have to back in and pluck them out of sight. My favorite item in this batch is actually #77, the Contour Blender. 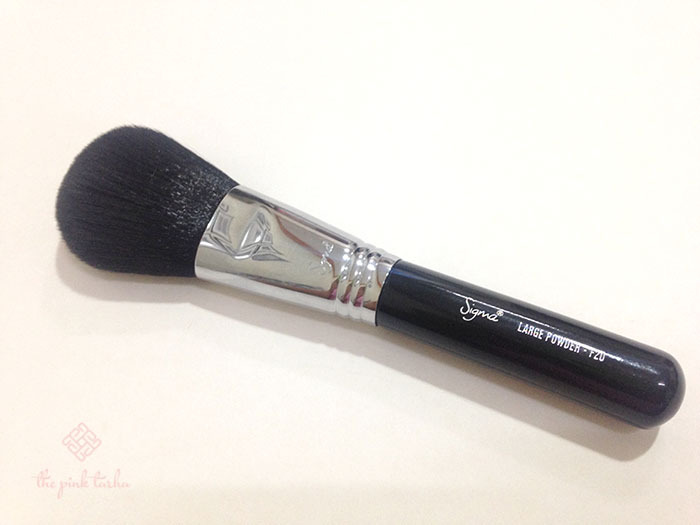 The curved shape of this brush helps form the shade within my cheekbones and jawlines, giving it a succinct definition. It blends the product well and best part? It does not leave bristles behind! I wish I contour every day just so I have a reason to always, always use this brush. I absolutely love it. While Sephora brushes come in pricey, one of the things that make them worth the buck for me is the built-in cases that they come in. Lord knows how we don’t like to get our brushes dusty and mixed in with the rest of the dirt in our purses or dressers. The clasped covers keep them safe and clean, ensuring longer use. Since I was so frustrated with Sephora #59, I decided to get a new powder brush through Vanilla.sa. 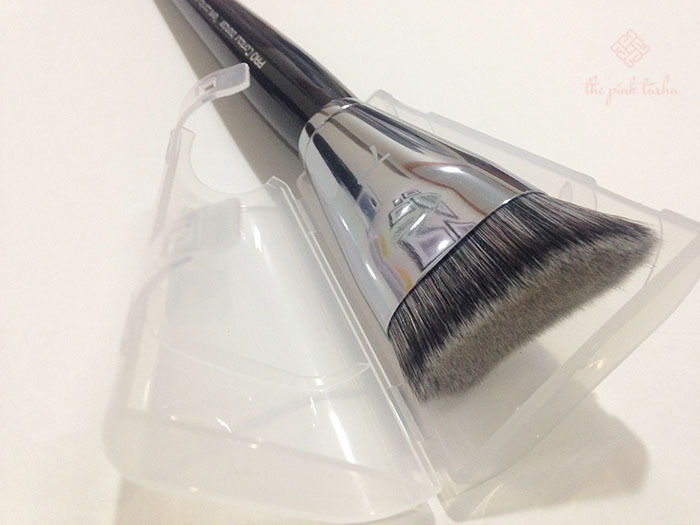 One of their featured items are the Sigma beauty products and I chose the F20 Large Powder Brush. It is indeed “large” as the name suggests and its bristles are uber soft! Brushing it against my fave was so addictive. It’s supposed function according to Sigma is to for controlled bronzer application but I use it instead for loose/press powder application and I use it more than the #59 now. The caveat? No plastic case so keeping it clean in my bag is an effort if I want to bring it around with me all the time. Amongst all the brushes in my arsenal, this has become my most used one (it almost made me want to stop using the beauty blender). 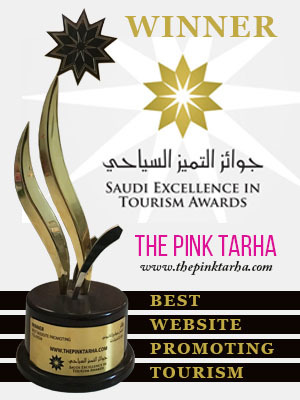 The Real Techniques Expert Face Brush is an award winning product for good reason. I use it to apply my foundation every day and I must say, it gives me streak-free and even coverage that really surprised me for its very affordable price. What I love best about it are the bristles and how they hold well against any clumps or build-ups that other foundation brushes fall into. Plus, they are super easy to clean! Using this brush also improved my application skills as it teaches you how to blend and buff out the product on your skin. Janelle also recommends using their Stippling Brush for an airbrushed look. 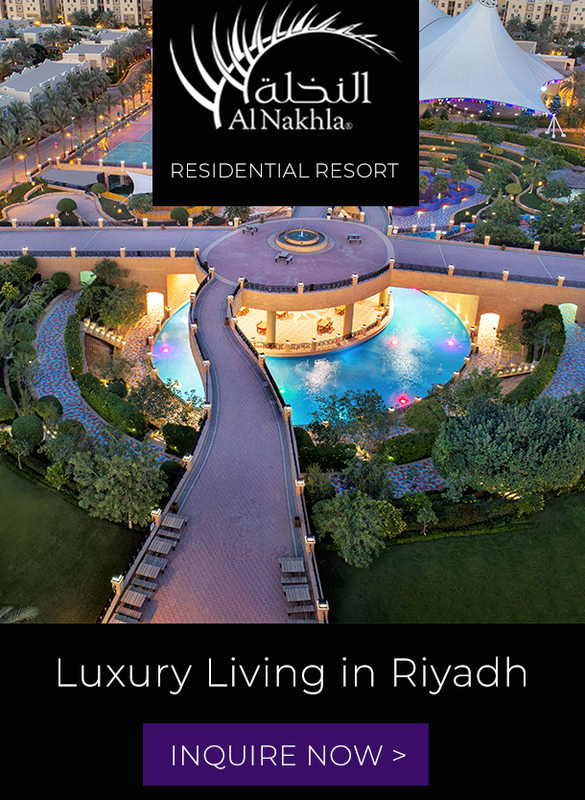 That’s next on my To-Buy list for sure! For now, this brush is the best value for money as it can get. 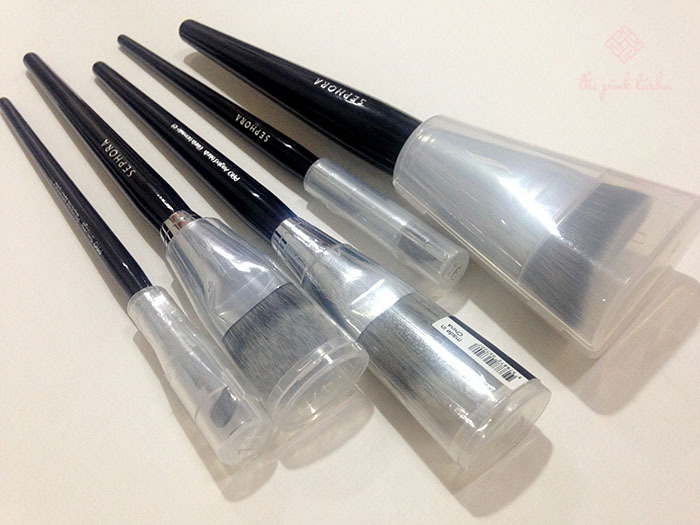 What about you, what’s your favorite make-up brush? Items featured are from Sephora, Vanilla.sa and Whites Pharmacy.